Remarkably, May’s template to exit the bloc faces virtually certain defeat. 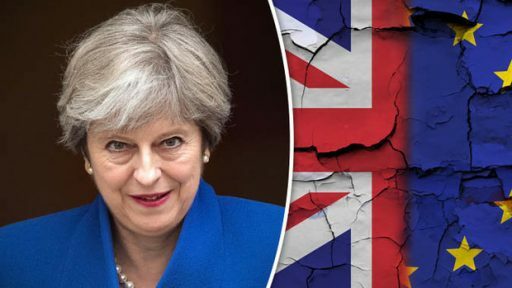 That leaves the prospect of a complete collapse of government, a disorderly exit from the bloc or even the entire Brexit process being scrapped altogether over the coming weeks. CNBC takes a look at what to expect ahead of the all-important vote. The U.K. government and EU heads of state have signed off on the preliminary deal and now U.K. lawmakers have a “meaningful vote” to decide whether it can proceed. Following five full days of parliamentary debate, the vote is due to take place on the evening of Tuesday January 15. Westminster must now either accept the government’s plans for a structured exit and relatively close economic ties with the EU or reject it and spawn massive uncertainty over the country’s next steps. What are the chances of its success? Her proposal needs the backing of 320 lawmakers, more than half of the 639 MPs (Members of Parliament) that vote in Westminster. But, the numbers do not appear to be in May’s favor. After stacking up opposing votes from the main opposition Labour party along with those from the Scottish National Party and Northern Ireland’s DUP (Democratic Unionist Party), May is already under pressure. What happens immediately after the vote? If the prime minister’s deal is voted down on Tuesday evening, the government would only have three parliamentary working days to come up with revised plans. Downing Street was expecting to have a 21-day period to file a parliamentary motion, but U.K. lawmakers backed calls to bring the deadline forward on Wednesday. The margin of a possible defeat could also be important. A minor defeat of around 30 or 40 votes could tempt May to return to Brussels in a last-ditch attempt to tweak the draft withdrawal agreement. But, a substantial loss would probably result in chaos descending upon British politics once again. For now at least, the United Kingdom is set to leave the European Union at 11:00 p.m. London time on March 29, 2019. Presently, the range of potential outcomes include: a May resignation, a vote of no confidence in the government, a general election, a second referendum on EU membership, a temporary stop on Britain’s withdrawal, or possibly even some sort of combination of all the above. “If anything, the events of the past two weeks suggest the distribution looks much more uniform,” strategists at Nomura said in a research report published this week.